Fresh and expressive without any sense of overbearing … the 2019 color of the year as determined by the Pantone Color Institute is Living Coral. This color will enliven any space while still imbuing a relaxed feel. 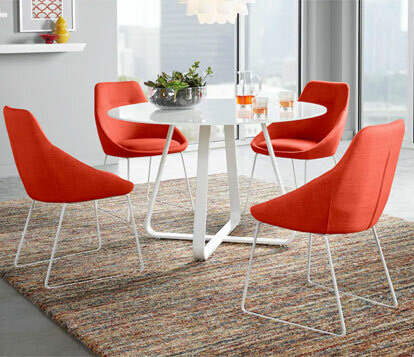 For maximum effect saturate your space with this energizing color. Pulled from nature, coral invokes underwater delights, striking sunsets and floral fancies. 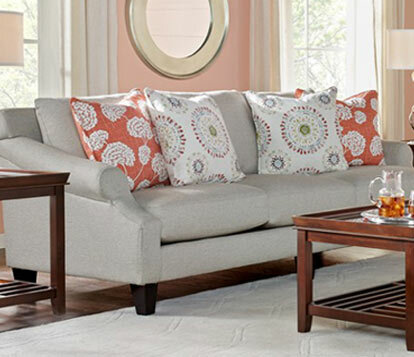 By furnishing with a coral sofa, loveseat and chair you are embracing this warmth to the fullest. 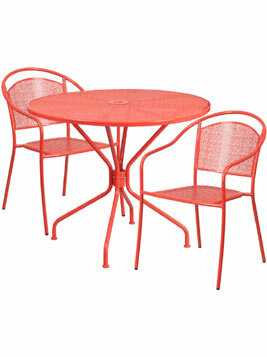 Consider accents that have softer hues or tonal qualities that won’t fight against the brilliant coral color. Mix coral with related shades found in nature. For a soft look blend it with pastels. To increase the contrast pair it with deeper shades. 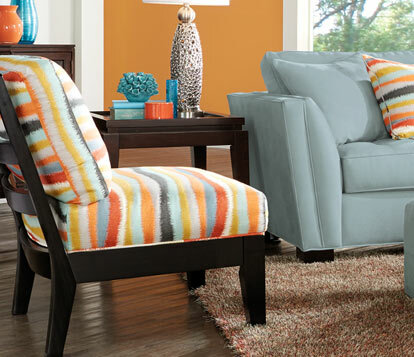 Consider mixing in nearby hues of tangerine and orange. 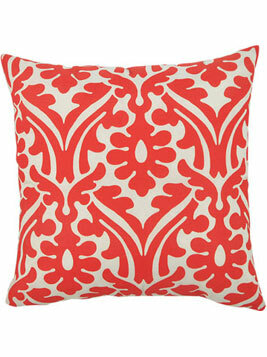 Coral is striking when paired with blue shades from watery aqua to deep ocean blue. This accent chair and pillow are shown above with two different sofas to show off the effects of softer and deeper contrasts. Coral draws your eye. Paired with white, it commands this dining room. 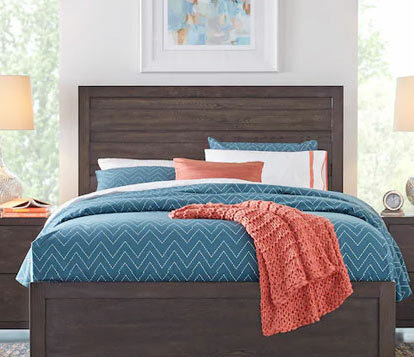 Small touches of coral in this bedroom linen set add interest while breaking up the monochromatic blue. 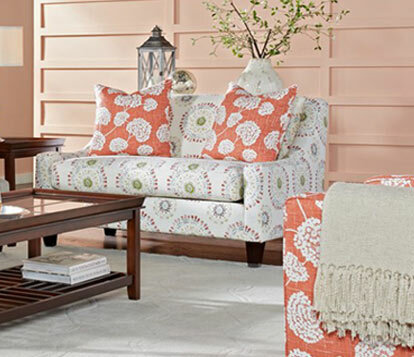 A solid sandy beige sofa creates a neutral background that receives a punch of vibrancy with coral patterned toss pillows while the patterned loveseat is grounded by this saturated shade. Pale peach walls continue the color scheme without overwhelming the space. Create a dramatic pop in your space with just one accent piece. 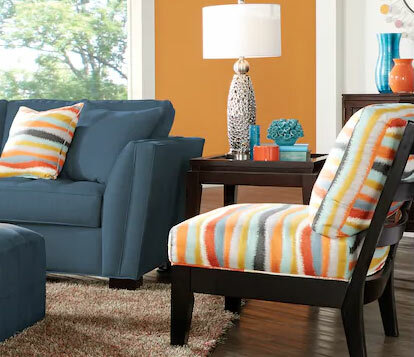 For big splash, choose an accent chair or settee with a bold pattern. 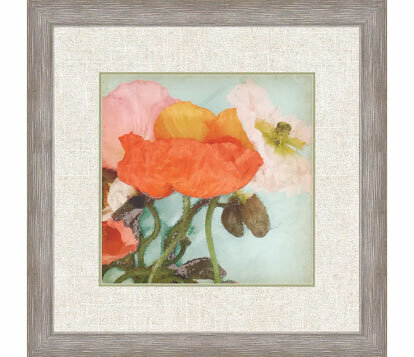 Or choose subtle touches by introducing wall art or area rugs that blend coral with other natural shades and hues. 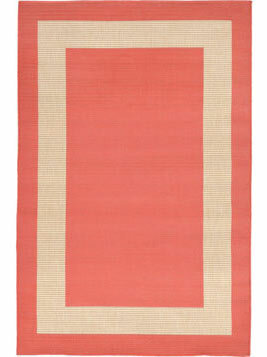 Living coral is a gorgeous shade that adds vibrant warmth to your life and transitions beautifully throughout your home. 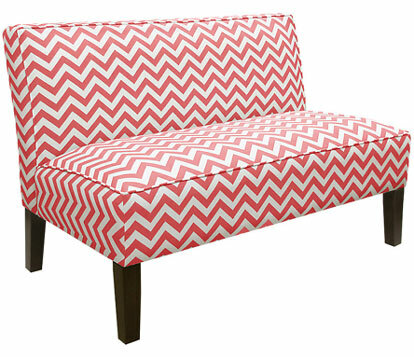 A stylish choice whether you are incorporating into indoor rooms or outside living spaces.